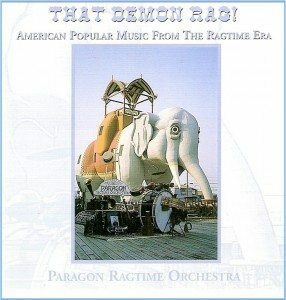 Performed by the Paragon Ragtime Orchestra, Rick Benjamin conductor. “Muslin Rag” (one step, 1918), Mel B. Kaufman. “Melancholy Baby” (two step, 1912), Ernie Burnett. “That Hindu Rag” (novelty, 1910), George L. Cobb. “A Cakewalk Contest” (1899), Arthur Pryor. 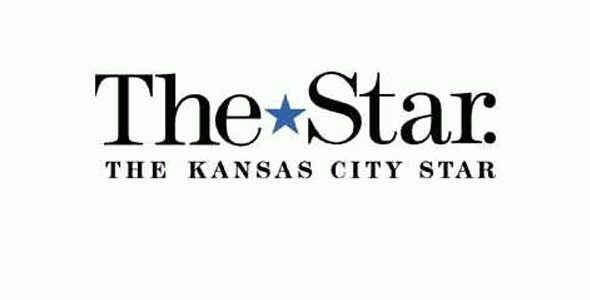 “The Favorite” (two step, 1904), Scott Joplin. “Shadow Time” (reverie, 1913), Charles L. Johnson. “Ragtime Travesty on Il Trovatore“ (1914), Carleton L. Colby. “Ghost Dance” (descriptive, 1911), Cora Salisbury. “The Bullfrog Blues” (fox trot, 1916), Brown & Shrigley. “Bombs & Bullets: An Explosion in Ragtime” (1915), Elmer G. Ruth. “Smiles and Chuckles: A Trombone Spasm” (1917), F. Henri Klickmann. “That Demon Rag!” (two step, 1912), Russell Smith. “Chevy Chase Foxtrot” (1914), Eubie Blake. “Great Scott Rag” (two step, 1909), James Scott. “The Booster: An American Absurdity” (1913), M.L. Lake. “Palm Leaf Rag” (1903), Scott Joplin. “Spirit of Independence” (march, 1912), Abe Holzmann. “They Didn’t Believe Me” (fox trot, 1914), Jerome Kern. *Actor Tony Randall (1920-2004) was the PRO’s guest Master of Ceremonies for several of the Orchestra’s 1992 World’s Fair performances. "This group is like a ragtime early music ensemble, striving to protect the integrity of this uniquely American musical genre"
The Paragon Ragtime Orchestra is the world’s only year-round, professional ensemble re-creating “America’s Original Music” – the syncopated sounds of early musical theater, silent cinema, and vintage dance.